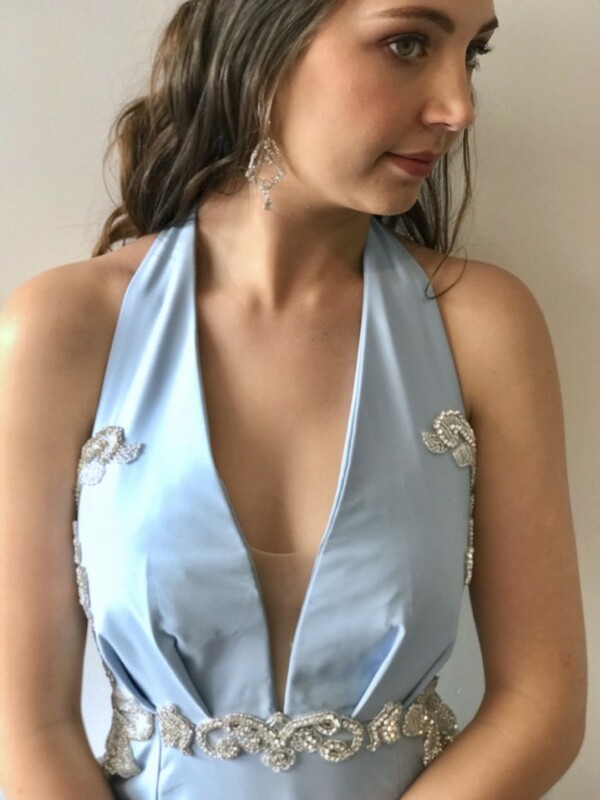 The Enya Gown is a modern take on 'something blue', This halter neck gown exudes elegance with it's flattering figure and embellished detailing. Fabric: Blue Moss Crepe This is a sample gown that has been tried on in our Studio a few times. It is in very good condition. This Gown May require Dry cleaning.